KATHMANDU, Jan 19: Sinohydro Corporation Ltd, the contractor for the powerhouse of Upper Tamakoshi Hydropower Project, has completed the civil works of the underground powerhouse. 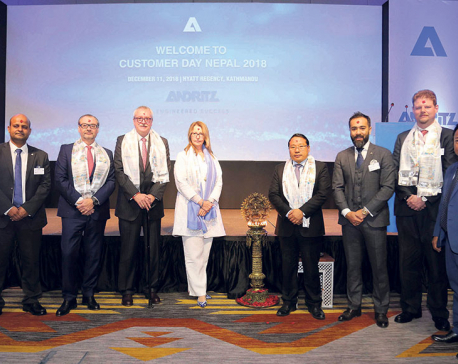 The contractor handed over the project to the executives of Upper Tamakoshi Hydropower Limited amid a function held in Dolakha on Thursday. 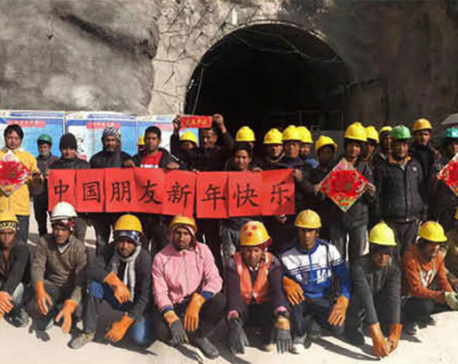 With the last tank of concrete casting in the powerhouse gate, works assigned to Sinohydro on the Upper Tamakoshi Hydropower Project was successfully completed, the company said issuing a press release on Thursday. “It also marked the completion of all civil works of the powerhouse, nearly one year ahead of the expected generation target of the employer,” the press release stated. CEO of Upper Tamakoshi Hydropower Limited Bigyan Prasad Shrestha, chairman of Bigu Rural Municipality Yudhisthir Khadka, and officials of the contractor company had attended the handover ceremony. 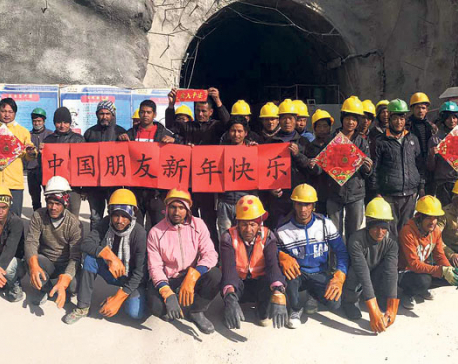 Sinohydro officials said that the construction works went smooth, despite facing many difficulties such as earthquakes, oil shortages, and road obstruction in the past few years.